Six renowned individuals will be honored for achievements in their fields during the James Weldon Johnson Medal ceremony hosted by Emory University's James Weldon Johnson Institute (JWJI) on Wednesday, Nov. 4 at the Carter Center. The medals honor the legacy and accomplishments of Johnson, the legendary writer, journalist, civil rights leader, musician and humanitarian. U.S. Rep. John Lewis and activist Myrlie Evers Williams (widow of murdered civil rights leader Medgar Evers), for civil rights. Atlanta Mayor Shirley Franklin and E. Neville Isdell, former CEO of the Coca-Cola Company, will each receive the first-ever Humanitarian Award, established in 2007 by the Johnson Institute to honor individuals who have made significant contributions to humankind in the tradition of Johnson. The ceremony marks the 13th awarding of the medals, and the first time the awards have been given by Emory's JWJI, the new institutional sponsor for them. "As the custodian of the Johnson Medal, the Johnson Institute is pleased to honor six individuals who have enriched our national life in the tradition of James Weldon Johnson," says Rudolph Byrd, director of the JWJI and the Goodrich C. Professor of American studies. "We invite the people of Atlanta to join us in honoring the women and men who have distinguished themselves in the several areas in which Johnson established the highest standards of excellence." Actress Regina Taylor will serve as mistress of ceremonies, and Emory President James W. Wagner will offer remarks and present one award. On Nov. 5, the six medalists will take part in a colloquium panel discussion on the Emory campus for undergraduate students on "Lessons Learned Along the Way." The Johnson Medal is one of the signature programs of the Johnson Institute. 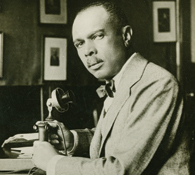 Along with honoring the life and legacy of James Weldon Johnson, the Johnson Medal is the institute's principal fundraiser. Tickets are $25. All funds raised through this award provide ongoing and future support of the institute's various programs. Advance tickets are available through the Emory Alumni Web site. For more information, call 404.727.2515. Established by Ollie Jewel Sims Okala and Sondra Kathryn Wilson, historian, author and executer of the estate of Grace Nail and James Weldon Johnson, the Johnson Medal has been awarded since 1992 under the auspices of the James Weldon Johnson Foundation. All events will be filmed and placed on Emory's iTunesU. The event is sponsored in part by Coca Cola, AT&T Georgia, Georgia Pacific, Delta Air Lines, Emory's Office of University-Community Partnerships and the estate of Grace Nail and James Weldon Johnson.